Built in 1920, this grocery store within a sleepy Beaufort neighborhood served customers for 95 years before closing in May of 2015. 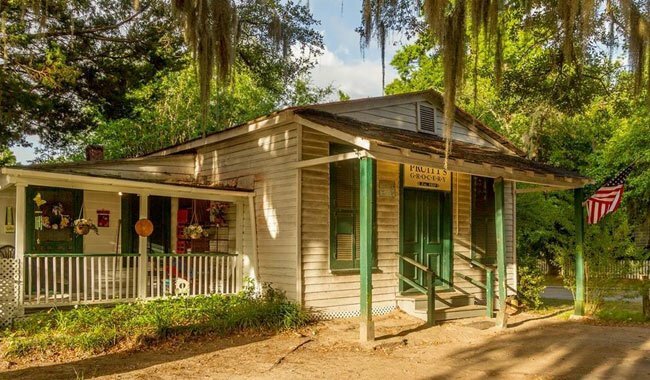 The store was built by Harry and Rebecca Smith, who ran it for decades before it was passed along to their niece, Bessie Pruitt, and her husband, John. John Pruitt ran the store before handing it down to his son, Ed, in 1951. Meanwhile, Ed’s brother, James, bought a nearby grocery store on Ribaut Road in 1953 called Bess’ Cash and Carry and renamed it James W. Pruitt Grocery Store. Both brothers successfully ran their respective stores for much of the twentieth century, primarily selling meats and sundries such as candy and bottled sodas. Ed Pruitt died of a heart attack in 1980, leaving the store established by the Smiths vacant. When Beaufort County purchased the Ribaut Road store location for use as a government complex in 1986 and razed James Pruitt’s store to pave a parking lot, James moved into the original 1920 store that had sat empty since his brother’s death. Locals patronized the corner grocery store for nearly a century, coming for Pruitt’s fine selection of meats and sweets. At the age of 83, James Pruitt decided it was finally time to retire from the family business in May of 2015. 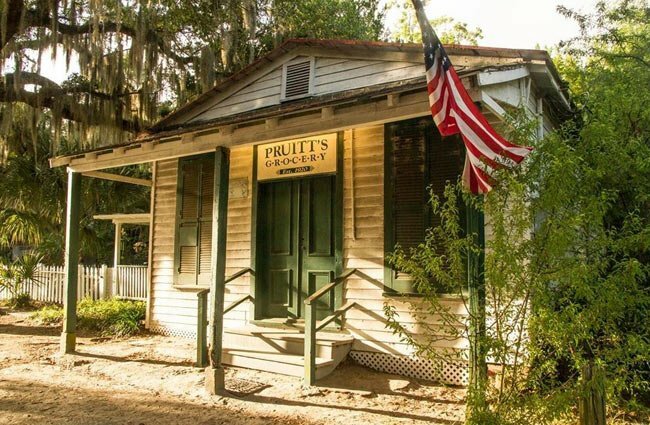 Word that Pruitt was closing the iconic store spread through the Beaufort community like the Spanish moss that frames the old building, bringing folks from far and wide to purchase what remained of the store’s inventory and to say goodbye to Pruitt. Now closed, Pruitt hopes that whoever buys the historical building continues to use it as a neighborhood grocery store. Very interesting, but then I love these houses and buildings from the past.